Integrate inventory, pricing and orders in your current B2B or B2C shopping cart with MYOB EXO using Shopify. Shopify Online Web Store is an industry leading ecommerce platform that has everything you need to sell online, on social media, or in person. 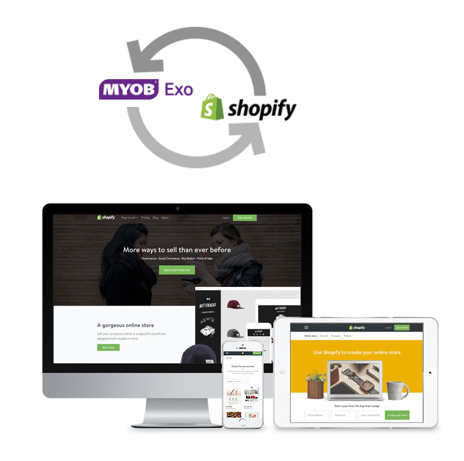 Shopify can be integrated with ERP solutions including MYOB EXO and MYOB Advanced. You have complete control over the look and feel of your online store and instant access to hundreds of the best looking themes the industry has to offer. Finally, a store of your own that reflects the personality of your business.